The characteristics of American softwood and its strengths and weaknesses were discussed at a seminar in Dubai, UAE, hosted by the American Softwoods (AMSO), the promotional partnership formed by three major US softwood trade associations. The seminar, held last week (March 12) at the Novotel World Trade Center Dubai, attracted leading players from the timber industry in the region. It focused on all aspects of American softwoods, including the resource, sustainable forest management, production, kiln-drying, lumber grading and the wide range of species available. The seminar was held on the sidelines of the Dubai WoodShow 2018, at which AMSO hosted an American softwoods pavilion with 18 US-based softwood exporters, who are all interested to do business in the Middle East. At the seminar, Chris Knowles, associate professor wood science and engineering, Oregon State University, provided an overview of softwood lumber grading and discussed the characteristics of different grades. Also discussed were the working properties and characteristics of Southern Yellow Pine as well as considerations when choosing and applying preservative-treated lumber. Indroneil Ganguly, assistant professor and associate director, Center for International Trade in Forest Products, University of Washington, provided an overview of the characteristics of American softwood species along with their strengths and weaknesses for various end-use applications, including panelling, doorframes, windows, flooring and furniture applications. In addition, Nick Clark, proprietor, NcDesign, shared his experience in the use of softwoods in furniture. In attendance at the seminar were over 30 Pakistani timber importers, manufacturers and end-users of American softwoods. The Pakistani delegation had been invited to the seminar amidst increasing demand for US softwoods in Pakistan. According to the latest data released from the US Department of Agriculture (USDA), total exports of US softwood lumber to Pakistan reached a value of $37.649 million in 2017, which represented a 25 percent increase over the previous year. A closer look at the numbers revealed that exports of Southern Yellow Pine, Spruce and White/Red Pine accounted for close to 50 percent of all exports to the country. 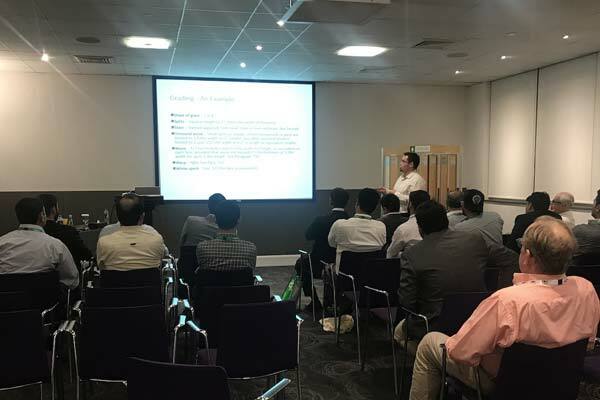 “Given the growth in Pakistan and across the wider Middle East as well, the seminar aimed to help all attendees develop a greater understanding of softwoods as a viable, suitable and environmentally-friendly material for numerous applications, which should, in time, lead to greater use of this wonderful and sustainable resource,” said Charles Trevor, consultant to American Softwoods.